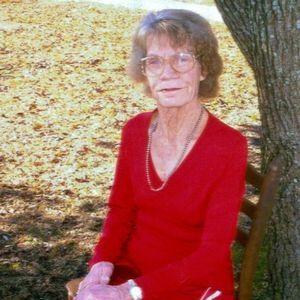 Lillie Bell Hyatt of Bladenboro passed away on Monday, December 10, 2018 at West Bladen Assisted Living. She was 89 years old. She was the daughter of the late Furnie and Rosa Ezzell. Lillie was preceded in death by her husband, Willie Hyatt, one daughter: Patricia Ann Hyatt, one son: Ralph Bennett Hyatt and many siblings. She is survived by three children: Willie Ray (Bill) Hyatt of Abbottsburg; Richard Hyatt of Crusoe Island, and Inez Strickland of Bladenboro; grandchildren: Laverne, Lee, Brandy, Scott and Mark, great grandchildren: Aaron, Talon, Betty Apple, Lille Bell Frances, Curtis Gage, Ellie, Holden and Memphis Ray. The family will receive friends from 7-8 pm on Wednesday, December 12, 2018 at Bladen Gaskins Funeral Home in Elizabethtown. A graveside service will be held on Thursday, December 13, 2018 at Western Prong Cemetery at 2:00 pm with Rev. Charlie Tatum officiating. Add your thoughts, prayers or a condolence to Lillie Bell's guestbook.